I think translations should be usable, useful and understandable. Usable basically means fit for purpose. The right type of translation for a given situation and purpose, which may involve some or a lot of reworking. Useful translations are ones that are of use to clients or the end reader. They help them in some way. A useful translation also has no ambiguity in it — a mortal enemy of usefulness. And by understandable I mean readable, understandable and adequate for the intended audience. While these ideas overlap a little (e.g., readability is part of both useful and understandable and fit for purpose could cover all three) and may need some fleshing out, they sum up my approach to translation based on my inclinations and experiences with clients. What I believe translation should be and what I’ve found clients actually want and need. For instance, I believe translations should always read well (never awkwardly reflecting the source language), and I’ve found that my clients normally want me to change things and rewrite as necessary to produce a good final text that people will be able to read, use and understand. I wanted to clearly state my approach and these ideas because I realised they trickle through to most things I say about translation. 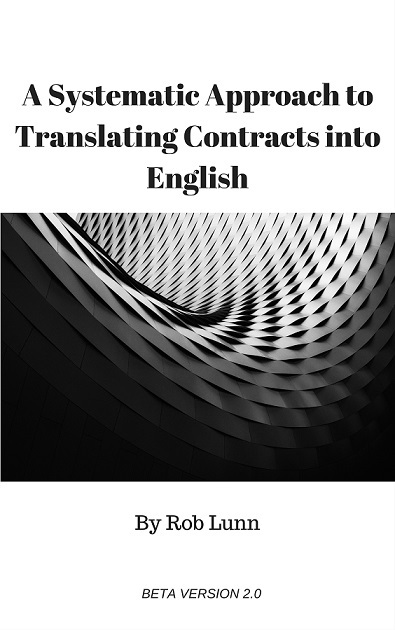 I’m sure many other translators will have a similar approach and have had similar experiences, especially those working in similar fields (business, marketing and law) and for similar end clients (businesses of some kind, either directly or through an intermediary). But I also understand that this approach will not fit in with everyone’s idea of how translation should be or even their experiences, and so I thought I should warn people about what’s behind the ideas I push. So, with this post and reference point, I can now put into context all the other things I say about translation, which necessarily arise from or fit in with this philosophy of usable, useful and understandable. When I say X or Y is good, I can qualify it by saying “only, or especially, if you think translation should be like this” and link back to this post.